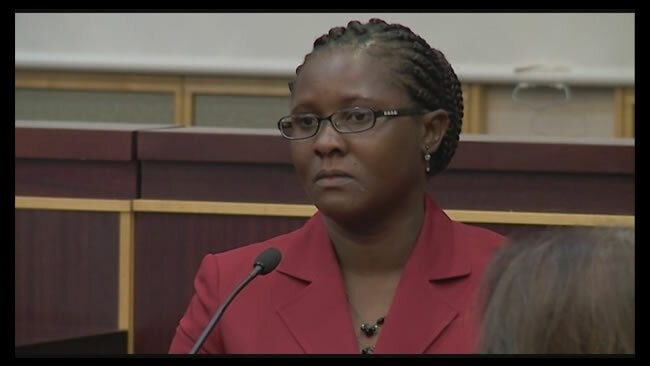 Here is a picture of the Haitian Security Guard Camelia Joseph who brought lawsuit against Walt Disney World for discrimination. As per news report dated September 4, 2015, a Jury in Orange County has found that Camelia Joseph, a security guard with Haitian background working at Walt Disney World for the last twenty years, has become a victim of workplace discrimination by the employer as she was deprived of a promotion which she deserved. In a lawsuit, she had mentioned that she had applied for a job of an emergency coordinator in 2010, but she was discriminated for her colored Haitian background-- the position ultimately went to a white man with less experience and qualification. The jury has found that Camelia's claim of discrimination was correct; she was discriminated because of her national origin. However, since her application was not properly processed, the jury is unsure whether she could really qualify to get the position and consequently they could not offer any compensation or award to Camelia. However, Walt Disney World has maintained about their claim for a longstanding policy against workplace discrimination.